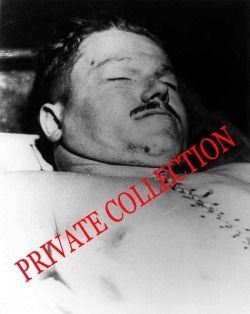 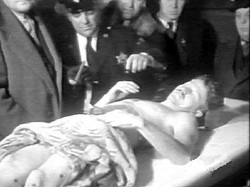 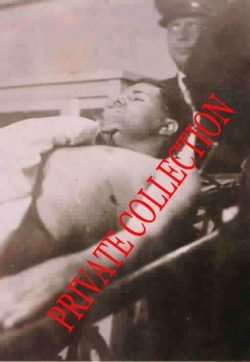 Nelson, shortly after his body was found. 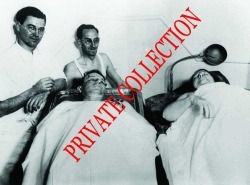 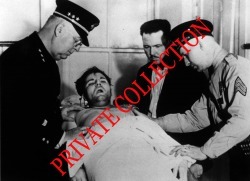 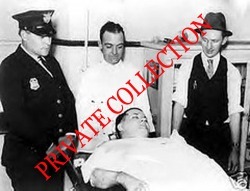 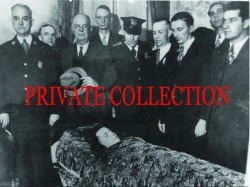 Freddie, left, and Arizona Kate 'Ma' Barker in the morgue. 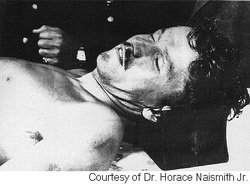 Freddie, on the cabin floor, as found by police after the shootout.